Aston Villa boss Remi Garde hopes Jack Grealish has learned his lesson after being dropped from the first team. The 20-year-old midfielder had to train with Villa's Under-21s after reports he visited a Manchester nightclub after a 4-0 defeat at Everton. He has since been restored to the first team set-up and is in contention to face Arsenal on Sunday. "He is a talented young player but only Jack knows if he has learned," said Frenchman Garde. "I'll still be close with him. I have the feeling Jack needs to be more disciplined, this way I feel he can improve his game." 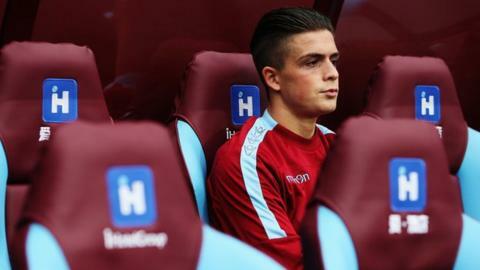 Grealish missed Premier League games against Watford and Southampton during his omission but played for the U21s in their victory over Derby on Monday. Villa go into the game against the Gunners bottom of the Premier League and seven points from safety.